Dan Seitz is a tech journalist with 10 years' experience writing about apps, gaming, and more. His work has appeared on Uproxx.com and other outlets. The Xbox One is a popular console, but like any piece of technology, it occasionally has some problems, and sometimes, it will just flatly refuse to turn on. If that happens, here how to address the issue, step by step. 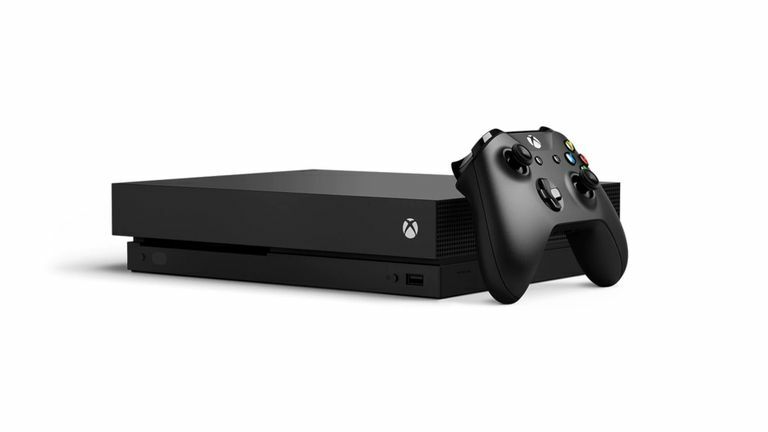 Unlike the Xbox 360, and its “Red Ring of Death,” the Xbox One doesn't have as many explicit external cues to problems such as overheating and cable problems. As a result, especially if the device refuses to turn on and offer an error code, you'll need to take an approach that rules out problems from the most to the least likely. If you've tried to turn on your console by pressing the Xbox button on your controller, press the power button on the console instead. If it turns on as usual, replace the batteries in your controller. Turn off the Xbox One and try to turn it on with the controller again. If that fails, plug the controller directly into your console with a USB cord and try again. If none of these work, you'll need to replace your controller. Check the power cord. Make sure it's firmly seated in the console and that it's plugged into the outlet securely. If not, seat it in both places and try again. If you've plugged into a power strip, ensure that the strip's power switch is flipped to the on position and that the strip itself still functions. Some power strips have fuses that will blow in a power surge and protect your electronics from damage. Check other items plugged into the strip to ensure they're functioning properly, and try a different outlet on the strip. If an outlet on your power strip is dead, you should replace it immediately. Take the console and the power supply to a different outlet, plug it in, and see if it turns on. If so, there's likely an electrical issue with the outlet. If other items in your room and house are not working, turn off anything connected to that circuit and then go to your fuse box or circuit breaker. Look for a switch that has flipped to the off position. Move it to on and wait. If everything else is working, it may be an issue with your outlet; contact a licensed electrician. Unplug the power supply (sometimes called the “brick”) from the wall and your console, and wait ten seconds. While you're waiting, find the LED on the power supply; it'll be next to where the cord goes into the box. Plug the cord back into the console and the power supply into your outlet, and look at the LED. If the LED doesn't light up, or if the light is blinking orange, the power supply needs to be replaced. You can find a new supply at any store selling video games and consoles. If there's a steady white light, try turning on your console. If it won't start, and the supply presents a steady white or steady orange light, you'll need to have the console itself serviced. Ensure that the Xbox One has proper ventilation, especially if the console suddenly shuts down and won't turn on. Remove any objects around the Xbox One and place it where vents on the casing can easily draw in air. You may want to use canned air or a dry cloth to clean dust out of the vents if any is visible. If your console mysteriously turns off, and has no ventilation problems, check the settings. Open the settings menu, and choose "Power & Start-Up." You'll want to reconfigure two settings. The first is “Instant-On,” which puts the console into sleep mode when you turn it off, instead of completely powering it down. This allows the console to turn on faster, but also might interfere with starting. Set this to “energy-saving” instead. Secondly, check the auto-shutdown setting in the same menu. Especially with used consoles, or consoles passed between family members, this setting may have been left on. If the console turns on, but there's no signal to your television, check the HDMI cord between your console and your TV, and make sure it's in place. If you're using a splitter or similar tool, make sure that it's powered on and that all cords are properly connected. Also ensure your TV is set to the proper output, especially if there are other consoles connected to it. Why Does My Xbox One Turn On By Itself? Should You Buy an Xbox One S or Xbox One X?